These card was refarence from our Stampin' Up Demonstrator's magazine called Stampin' Success. It's a really great magazine and we get once a quarter from the head office. 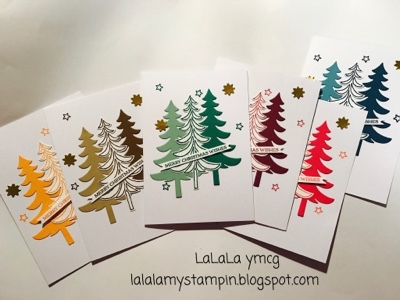 Using Santa's Sleigh stamp set and Dies which means Bundle. This time using in color and some matching colors.